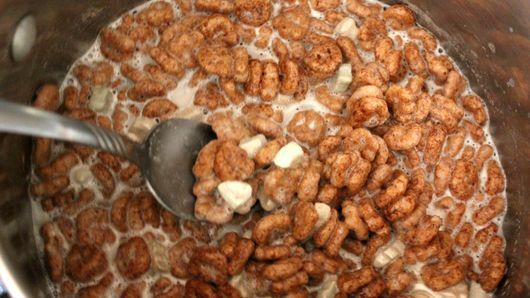 In 2-quart saucepan, heat (steep) milk and cereal over low heat about 5 minutes or until cereal becomes soft and milk takes on a chocolaty color. Place strainer over 2-cup measuring cup or medium bowl. 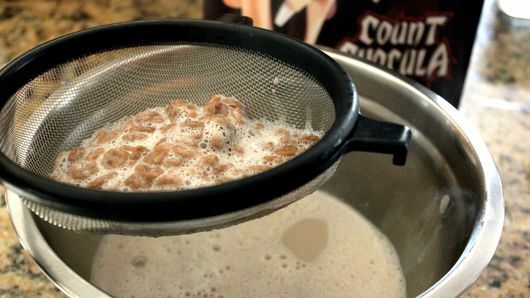 Pour cereal-milk mixture through strainer to remove cereal from hot, cereal-infused milk; press cereal with back of spoon to get as much milk as possible. Discard cereal. Cool milk slightly. Pour coffee into 4 mugs. Add about 1/2 cup infused milk (or more to taste) into each mug. 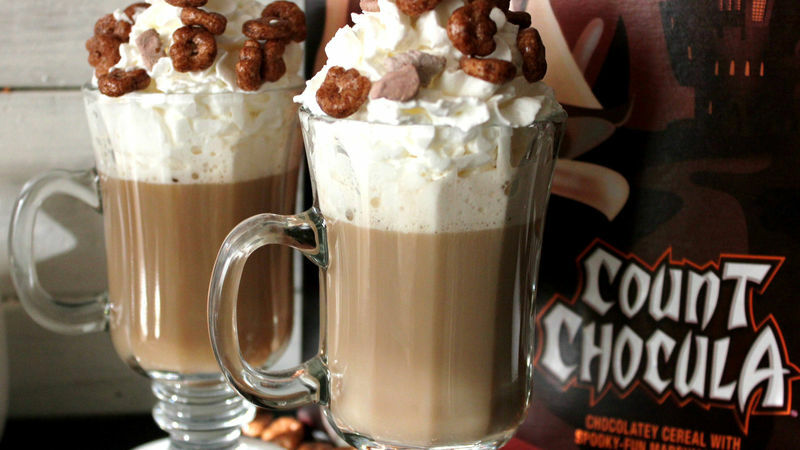 Top each with whipped cream; sprinkle with additional cereal for garnish. Try soy milk in place of whole milk to lighten things up. 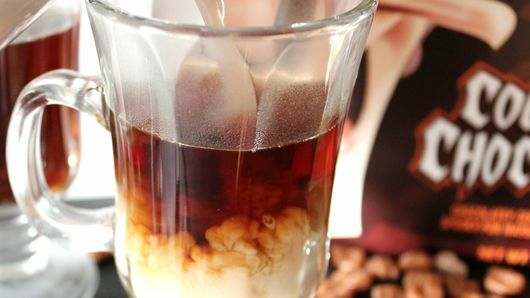 For an extra kick, add chocolate syrup to the bottom of each mug before adding the coffee.